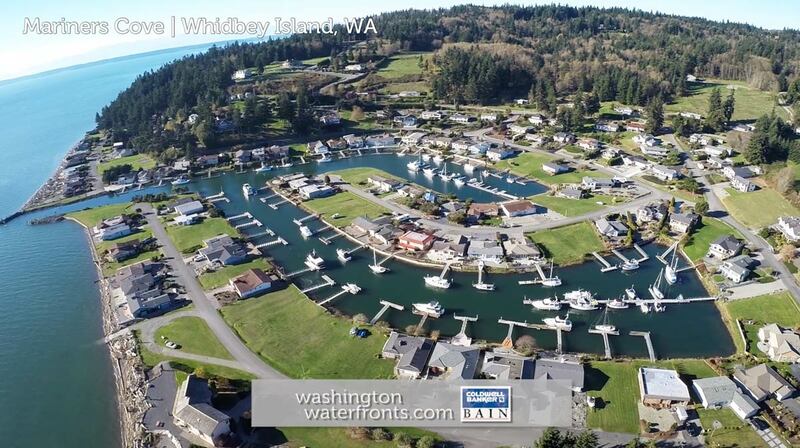 Mariners Cove is a community situated in the northeast region of Whidbey Island, in a bowl-like area dotted with canals and waterways just eight miles east of Oak Harbor. A boating enthusiasts’ dream, when searching through Mariners Cove waterfront real estate, you’ll find both canal front and waterfront homes with deep water moorage, ideal for your vessel. While it’s perfect for a weekend, summer or vacation home, you may want to live here year-round, as the neighborhood is just a short jaunt from town, but you’ll feel as if you’re part of nature at home. Enjoy sipping your coffee every morning while watching the wildlife like bald eagles, great blue herons, sea otters, harbor seals, and even whales that pass by, with stunning sunrises providing a colorful backdrop. With Mariners Cove waterfront real estate, you’ll also have access to two community docks for your friends and family to park when they visit, as well as a number of sports courts, and a beach that’s ideal for fishing, crabbing, harvesting mussels or clams, or simply enjoying a stroll. In nearby Oak Harbor, you’ll find all sorts of dining and shopping opportunities as well as many options for indulging your passion for the arts, with a community theater, galleries and artist studios. Look forward to the annual Mariners Cove Music Festival just steps away, which hosts a variety of genres across two main stages and some 30 bands. When you want to enjoy attractions and services on the mainland, it can be reached via bridge to the north, or the Clinton/Mukilteo Ferry Terminal to the south. If you’ve been searching for your perfect water paradise, look no further than Mariners Cove waterfront real estate, with many homes offering some of the best water and mountain views in the entire Pacific Northwest. Take advantage of our industry-leading tools to make your property search as easy as possible and be sure to register for a FREE account so that you can receive email alerts whenever new Mariners Cove real estate for sale hits the market. If you’re seeking to sell your Mariners Cove property, contact our Waterfront Specialists directly for a comprehensive listing analysis and to learn more about the cutting-edge marketing strategies we’ll use to sell your home quickly for top dollar!